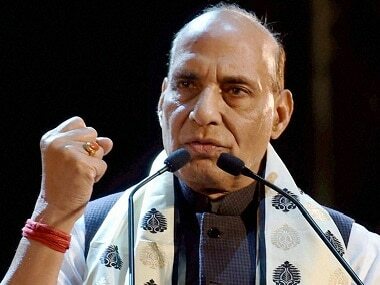 Union Home Minister Rajnath Singh will convene a meeting to review the security arrangements for the upcoming Amarnath Yatra that commences from 28 June. The Mehbooba Mufti-led PDP-BJP government in Jammu and Kashmir has already sought around 22,500 additional paramilitary personnel for deployment along the entire route of the Amarnath pilgrimage. These forces will join the existing forces operating in Jammu and Kashmir, the official said. 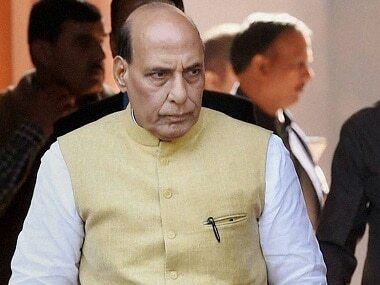 During his two-day visit to the Valley earlier in June, Rajnath met with Mehbooba and discussed security arrangements that have been put in place for the pilgrimage. 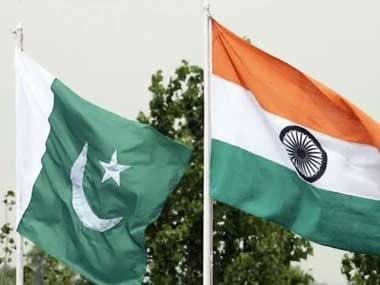 The meeting comes at a time when the International Border along Kashmir has been under fire from constant ceasefire violations. Last year's deadly attack on the Amarnath pilgrims, which left at least seven pilgrims dead, has security agencies on their toes. The authorities have planned a multi-tier security arrangements, reports said. Satellites will track pilgrims' movement. That apart, authorities are installing jammers, CCTV cameras and bulletproof bunkers to be ready for any adverse situation. Reports also said that dog squads and quick reaction teams have been deployed which will be part of the security drill along Amarnath routes. The Indian Army, paramilitary forces and the Jammu and Kashmir Police will be part of the heavy security that is being put in place ahead of the pilgrimage, which the security agencies suggested is open to vulnerability. Even though reports quoted sources from the intelligence bureau saying there were no inputs about any possible attack, security forces want to be prepared in case such a time comes. The forces have decided to increase the CAPF deployment from 181 companies in 2017 to 213 companies this year. The Tribune reported that the number of Jammu and Kashmir Armed Police battalions/IRP companies has been increased from 23 to 32 from the previous year. The report further quoted a security official who said that the highest number of deployment will be made in Anantnag district in south Kashmir followed by Ganderbal district in central Kashmir. The Amarnath Yatra passes through three sensitive south Kashmir districts which has a high concentration of militants and officials fear new recruits might target the pilgrimage. However, according to a report in The Economic Times, the Jammu and Kashmir police and paramilitary forces are banking on the new Srinagar-Qazigund highway to bypass stretches of Bijbehara and Awantipora that are vulnerable to militant attacks. Speaking to The Economic Times, a senior police official said that they are banking on the four-lane highway from Qazigund to Srinagar to ensure pilgrims are not exposed to any threats. "This new highway passes through sparsely populated areas that are less difficult to sanitise. We are bypassing the areas where there was possibility of militant attack. Besides, we have identified the spots where we will have to put extra deployment to avoid any untoward incident," the official was quoted as saying. 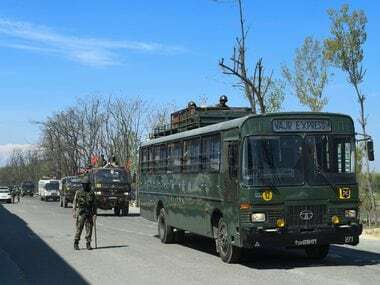 Last year on 10 July, a bus carrying Amarnath pilgrims was attacked by suspected militants of Lashkar-e-Taiba on the Srinagar-Jammu highway in Anantnag district, killing seven pilgrims and injuring 19 others.